The challenge is to write a retelling of the beloved fairy tale in any genre or setting you like. Make certain your story is recognizably “Beauty and the Beast,” but have fun with it as well. Make it yours! 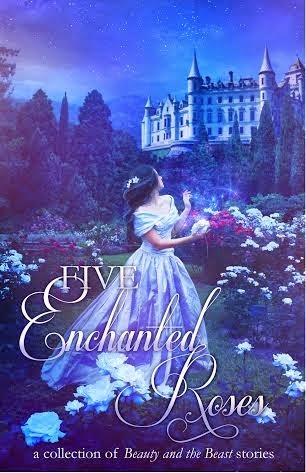 Rooglewood Press will be selecting five winners to be published in the Five Enchanted Roses collection, which will be packaged up with the gorgeous cover you see displayed here. Perhaps your name will be one of the five displayed on this cover? Rooglewood Press’s first collection, Five Glass Slippers, is available for pre-order now and will be released on June 14. Do grab yourself a copy and see what these talented writers have done with the timeless “Cinderella” tale! Thrilled about this. Plus that cover?? Gorgeous. Have a copy of the Cinderella re-tellings pre-ordered and am looking forward to reading that. I think I'll enter this contest! Sounds super fun!